The kar seva of historical Ramgarhia Bungas on the Golden Temple complex has been assigned to the Vishavkarma Welfare Trust by the SGPC, which will spend more than Rs 1 crore on its conservation. It is likely to begin from Baisakhi. 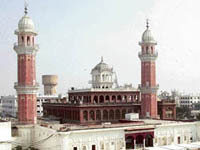 Ramgarhia Bungas on the Golden Temple complex in Amritsar. 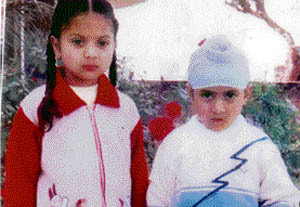 A file photo of Gurinder Singh and his sister Navjeet Kaur.